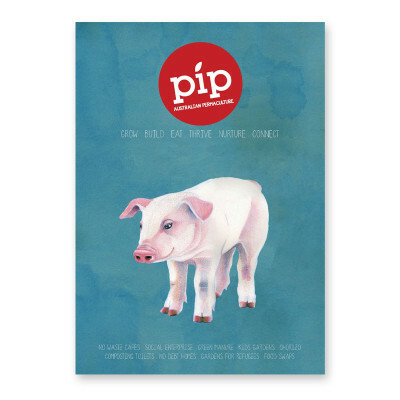 Australia has a Permaculture periodical called PIP Magazine. The second edition of this new magazine on permaculture and sustainable living is now available here. It includes informative feature articles on various aspects of permaculture as well as profiles on people, projects, gardens, farms, houses and businesses. It is full of practical ideas, recipes, reviews, a directory containing permaculture related businesses, courses and people and a classifieds section. Gorgeously designed and printed in colour on 100% recycled paper, this magazine brings to life the incredible diversity of Australian permaculture and displays cutting edge activity of the moment from all over the country.